Are you looking for best destination wedding locations in India? Destination weddings getting popular these days here we are with most awesome Destination Wedding location in India for exotic weddings. Read on to know famous venues for a destination wedding in India that are not only beautiful but ideal for perfect wedding ceremonies. Marriages are made in heaven, but the wedding is performed on earth. Every girl and boy have a dream to get perfect married and these days Destination weddings are much in trends. Many of us have one dream destination where we want to get married here we are with best destination wedding locations in India to get a perfect wedding which you dream for. 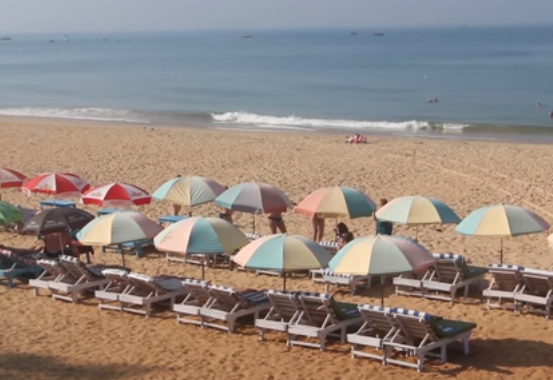 Goa is a beautiful union territory of India, it's a mixed package of fun at golden beaches, watching amazing sunsets, staying in beautiful resorts, enjoy the greenery, drenched in rain and getting the freedom to enjoy your life at its own. All makes Goa an ideal destination wedding locations in India to experience the fairy tale marriages and breathe taking an experience that can't be compared to any other destinations. Park Hyatt Goa, Taj Exotica, Leela Goa Beach Resort, and Radisson Resorts are amongst the most popular wedding venues in Goa where many couples like to host their pre-wedding ceremonies such as Mehndi, Haldi, Sangeet, Cocktail parties, Reception parties and last but not the least their D-day celebration. One can plan the event All year long but the best time is from November to January when the weather is much pleasant however one can avoid the monsoon season from June to September especially if planning for an outdoor wedding event. Udaipur is the most famous and hot spot for Big Fat Indian weddings especially when it comes to destination weddings, it is an ideal destination wedding locations to celebrate your D-day in style. It is one of the best places in Rajasthan when it comes to choosing a place to get married. There are lots of locations, heritage resort, and other wedding venues in Udaipur to a special day in a way like you always want. Udaipur is also a perfect destination for theme weddings. There are lots of benefits to choose Udaipur as your destination wedding location. The city is well-connected with all major cities Mumbai, Delhi, Ahmedabad, Jaipur and other major cities so one can reach the destination easily. There is so much to do in Udaipur that will keep your guests busy with Tours & Activities throughout the day. One can plan the event All year long but the best time is between September – March when weather is much pleasant as compare to other months. Nothing can be more perfect than getting married at Agra a destination for true lovers who want to tie the knot in the city of love. Agra is one of the best destination wedding locations in India. It is the home of the monument of love Taj Mahal inspires lots of couples to get married at this location so that they can remember this lovely moment and cherish it forever. There are many wedding venues in Agra which are perfect for arranging royal wedding ceremonies like you always want. Nothing could be more romantic than exchanging vows with the symbol of love in the backdrop. For that royal, opulent and one of a kind wedding Agra is always the first choice of couples. It provides many options for wedding venues and accommodation. One can plan their destination wedding and other pre-wedding ceremonies at Agara throughout the year. Kerala is one of the perfect destinations for wedding location where you can have a romantic ceremony. There are many great locations such as Munnar and Kovalam to have your wedding ceremony. If you are planning a destination wedding in Kerala, than opt for a natural theme or any other related to it. Hill Station Resorts and Backwater resorts are the perfect spots for wedding ceremonies. Kerala is very well connected with the majority of International Destinations via direct or indirect Flights so it's easy to reach in and around Kerala for any function or event. It is an ideal destination for Traditional as well as Western Weddings. 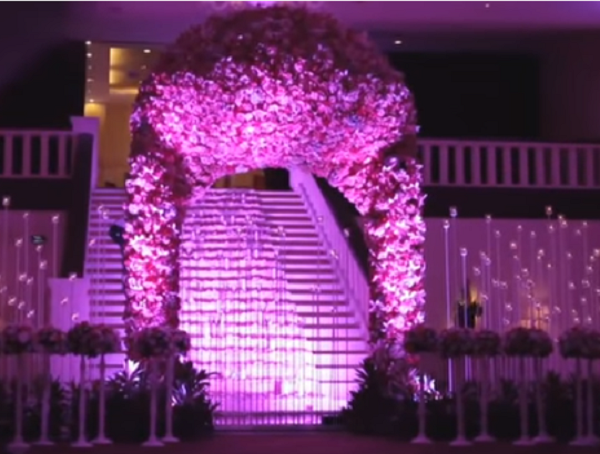 It's good to hire a Wedding Planner for perfect arrangements. You can also call for an Elephants in the wedding ceremony could have as many as Elephants you want. Folk Dancers and local artists will leave your guests amazed by their live performances. One can plan their destination wedding and other pre wedding ceremonies at Agara throughout the year however it's good to avoid the monsoon season for outdoor weddings. Mussoorie also known as Queen of Hills is getting popular as a destination wedding location in India these days. Beautiful tree-covered hills, amazing view of Himalayas at sunset and clear skies with lots of twinkling stars at night will give you a feeling of getting married under the stars. It is a romantic place and a perfect location for pre-wedding pictures. The beautiful Sunsets will make your wedding pictures more beautiful and memorable. The wedding at Mussoorie can be a refreshing change & quite out-of-the-box. 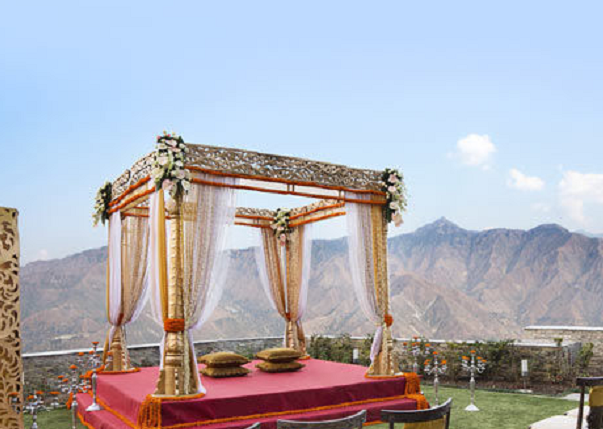 Early-April to mid-July is the perfect time for destination weddings at Mussoorie. For crazy-cold-snowy wedding, December to February months is best but at your own risk. However, it's good to avoid the monsoon months July and September. Jaipur, the pink city of India is one of the famous destination wedding locations in India and pre-wedding ceremonies. It is a perfect destination for royal weddings in old forts and palaces of Jaipur. Marriages are made in heaven, but wedding are performed on earth and Jaipur is the perfect place to get the memorable wedding and pre-wedding ceremonies. A destination wedding at Jaipur is an event that will be remembered forever. Opt for royal wedding themes or related for a perfect wedding at Jaipur. One can plan their destination wedding and other pre wedding ceremonies at Jaipur throughout the year. 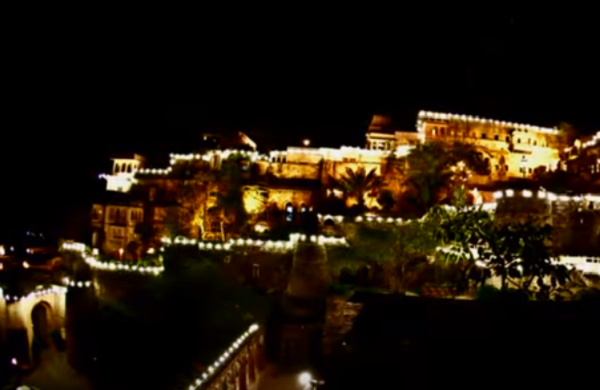 Neemrana fort is the best destination wedding locations in India, as well as for pre-wedding shoot. 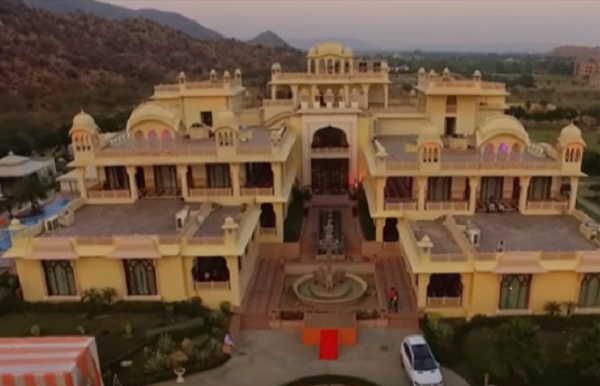 This picturesque heritage resorts is situated near Delhi and well connected with all major cities of the country. Your search for a unique royal wedding destination can be ended at Neemrana Fort. It is the ideal place for Indian to western weddings making it a preferred location for a destination wedding in Jaipur and closer too. Neemrana is the favourite venue for exclusive royal weddings within the National Capital Region of Delhi. One can plan their Royal destination wedding and other pre-wedding ceremonies at Neemrana fort throughout the year. Thinking for getting married in the middle of Sand Dunes than Jaisalmer could be your ultimate dream destination. 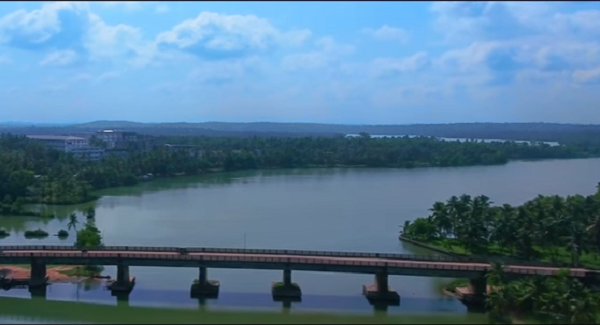 This is one of the best destination wedding locations in India. It is popular for its sand dunes, camel safari, rich culture, and folk dances. Jaisalmer offers lots of options to celebrate an auspicious occasion like Wedding. A perfect royal wedding can be organized at various exotic locations of Jaisalmer surrounded by glorious forts, and historical memorials. It is also an ideal place for wedding shopping at very affordable price. One can plan their destination wedding and other pre-wedding ceremonies at Jaisalmer throughout the year. Are you looking for a destination wedding venue in Kerala ? Read this article to find out the best destination wedding venues in Kerala. Thank you for sharing this detailed information about the best destination wedding locations in India. According to me, Kerala is one of the perfect destinations for a wedding location. Great collection of destination wedding locations in India to make your dream wedding come true! loved to see different traditional venues and beautiful palace at one place. Keep up the good work. 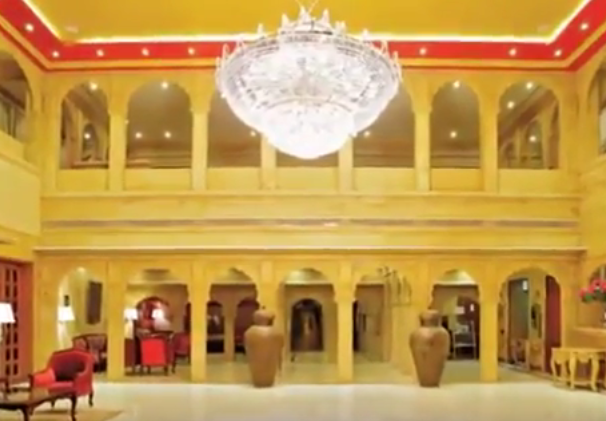 I would like to add that Fort Grand, Hyderabad is also one of the best wedding venue. 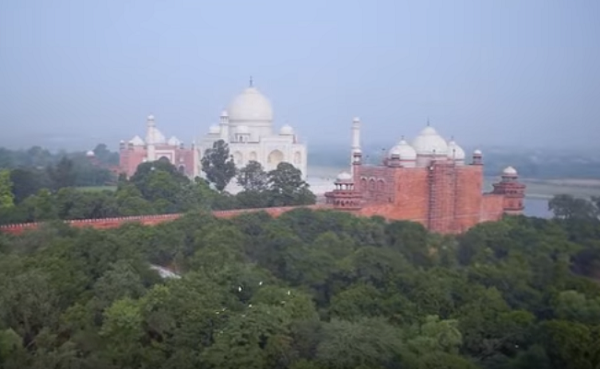 Such a lovely collection of India's luxurious destination wedding spots. Thanks for posting such a lovely article. Enjoyed reading this post on your blog. Thanks for sharing excellent information regarding the best wedding destination in India. Thank you so much for this informative article. Destination wedding is a dream for everyone. This blog will be very helpful for those who prefer a destination wedding in India, to choose a wedding venue.